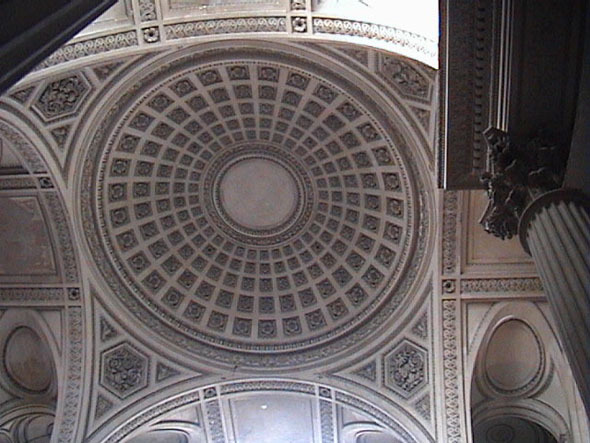 The plans for this massive church were drawn up in 1757, and work started in 1764, but the building was not finished until 1800. 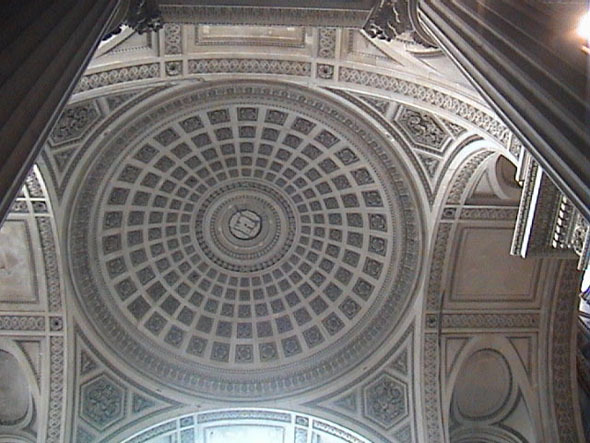 The exterior of the cupola is in three stages with a magnificent dome over a colonnade of columns. 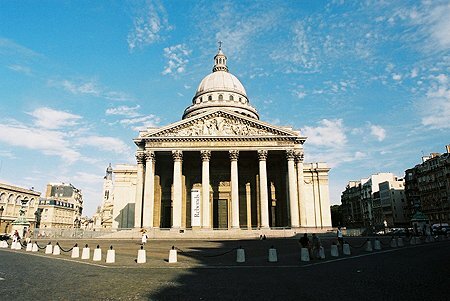 The exterior portico is modeled on the Roman Pantheon and has ornate sculpture and 22 columns. 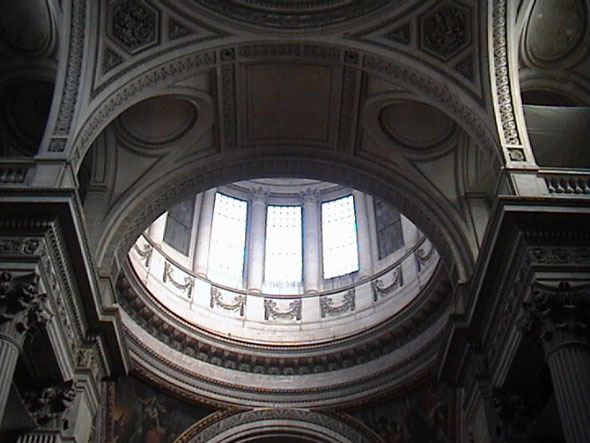 Intended as a church, it was converted into a Pantheon for the great, dead people of the republic. The interior is magnificent. 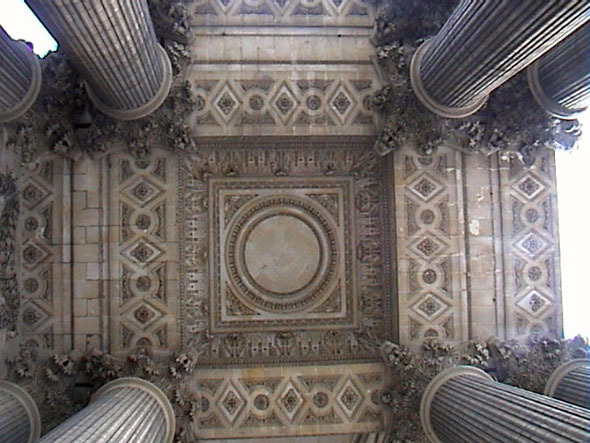 A Greek cross in design with a massive cupola and dome over the crossing, the interior has 52 fluted Corinthian columns and 72 engaged pillars. 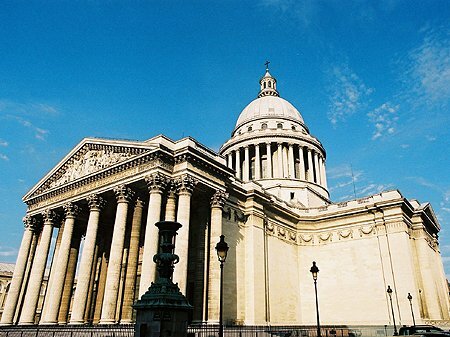 Intended as a church, it was converted into a Pantheon for the great, dead people of the republic. 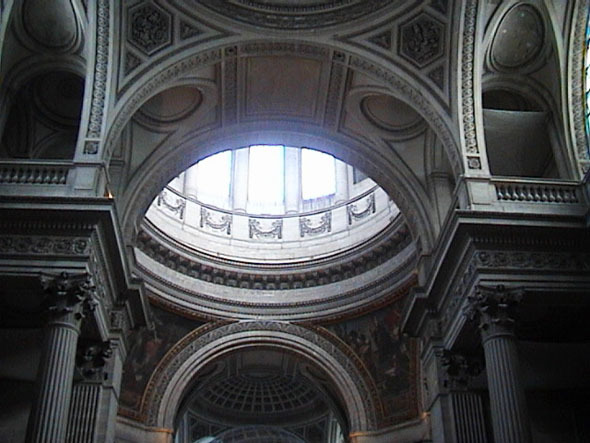 The dead are interred in the massive crypt. Changes were made to the building, with the architect closing 42 massive windows leaving the interior dark and cool. Several attempts have been made to turn it back into a church.